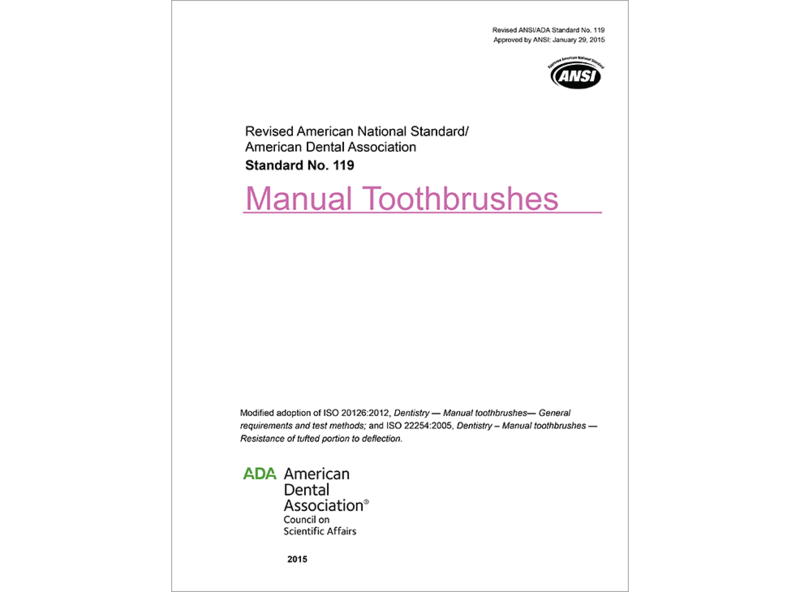 (DOWNLOADABLE PRODUCT) This standard describes requirements and test methods for the physical properties of manual toothbrushes in order to promote the safety of these products for their intended use. Also specified is a test method for determining the resistance of the tufted portion of manual toothbrushes to deflection. This standard is a modified adoption of ISO 20126:2012, Dentistry – Manual toothbrushes – General requirements and test methods and ISO 22254:2005, Dentistry – Manual toothbrushes – Resistance of tufted portion to deflection.